Stemmed from the streets of New York City, the PUMA Clyde adds a court classic with a lifestyle feel. 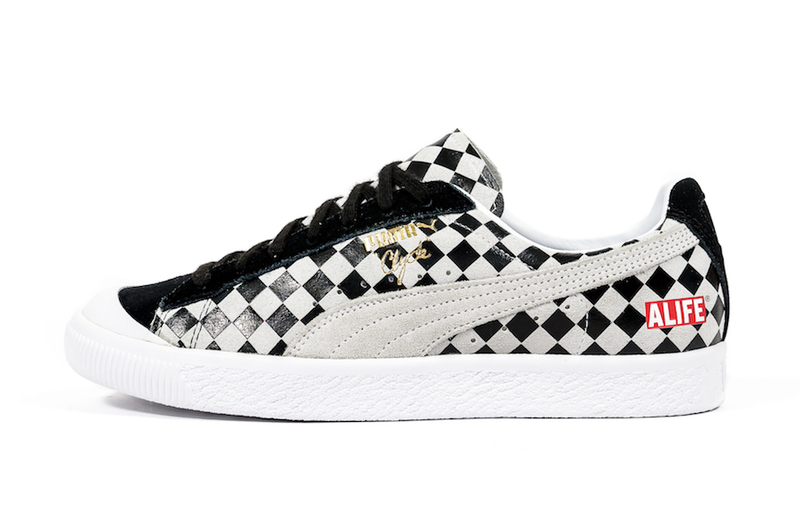 NYC based boutique, Alife partners up with PUMA to release an Argyle patterned silhouette. 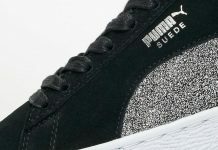 This PUMA Clyde comes constructed of a suede and Black Argyle printed pattern, with Black suede detailing on the heel and toe of the shoe. Subtle Alife branding is seen on the heel as well as the iconic PUMA Formstrip on the lateral side of the silhouette. The pair comes with the option of Solid Black or Argyle laces. The Alife x PUMA Clyde “Argyle” is set to release exclusively Thursday, April 5th in-store (Alife™ A.R.C. 158 Rivington St. New York, NY 10002) at noon and online at 10am on alifenewyork.com with the retail price tag of $100 USD.